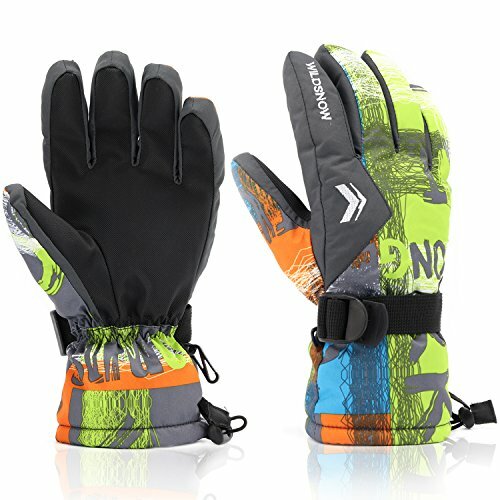 Specially Designed for WINTER OUTDOOR Activities, ski, snowboarding, motorcycle, keep your hands warm from -22 F TO -4 F.
1.The three layer material keeps your hands warm effectively but light weight. Makes you action freely. 2.Fittble, the adjustable wrist button make you fittable. 3.The inside fleece material is ultra smooth, smoother and warmer than the normal one. Fine process. 4.Extremely breathable, would not make your hand sweat but keep warm. 5 Size for you chose,satisfy the need of your family,parenting and lovers. 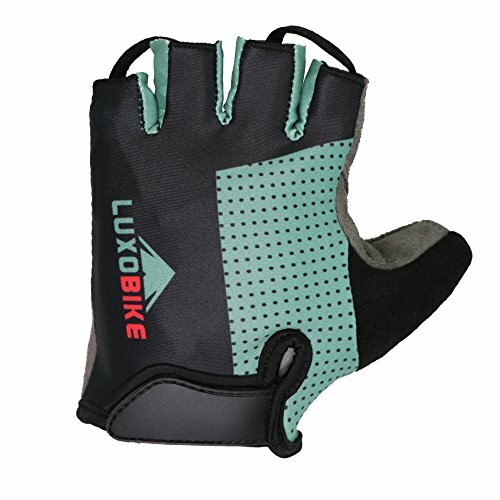 KEEP WARM AND FEEL COMFORTABLE-Resist the temperate under -22 F TO -4 F. The high-quality cotton insulation with the thicken smooth fleece inside but lightweight keep your hand warm effectively and feel comfortable. WATERPROOF AND BREATHABLE-The outer shell fabric is coating with waterproof material prevent against snow and rain drops. 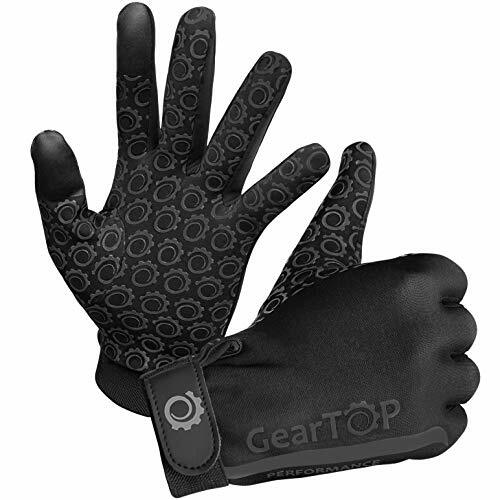 And the TPU waterproof insert helps to wick out moisture while keep hands warm and dry in exercise and play. 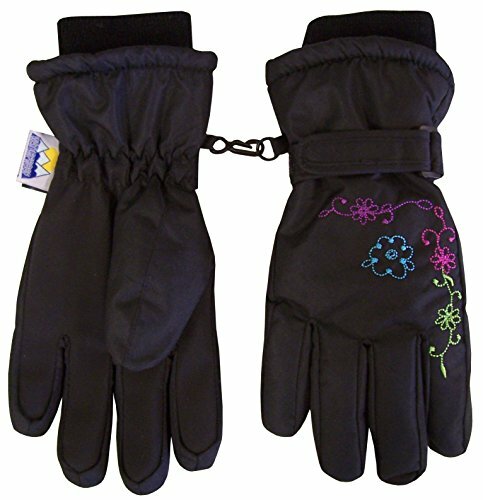 N'Ice Caps girls colorful ombre shaded flower scroll print ski glove will be sure to keep your child warm this winter! 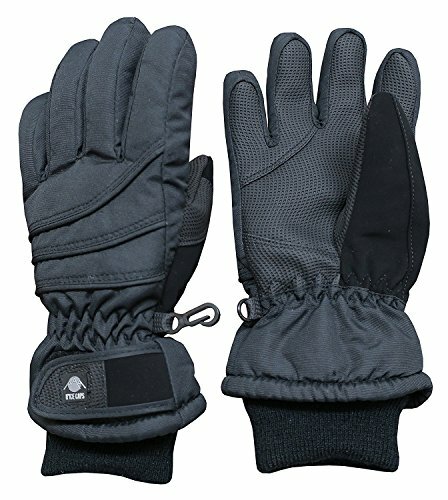 3M Thinsulate insulation and waterproof lining, knit cuffs, elastic under wrist, adjustable hook and loop wrist strap, curved fingers. Colors: fuchsia/multi, pink/multi, black/multi. 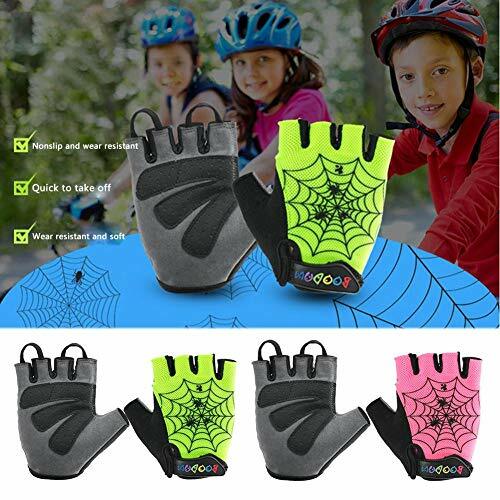 Sizes: one size fits 3-5yrs (product care label says 3-4yrs, but we recommend for 3-5yrs) (3.75" across palm, 5.5" from elastic to end of middle finger.) 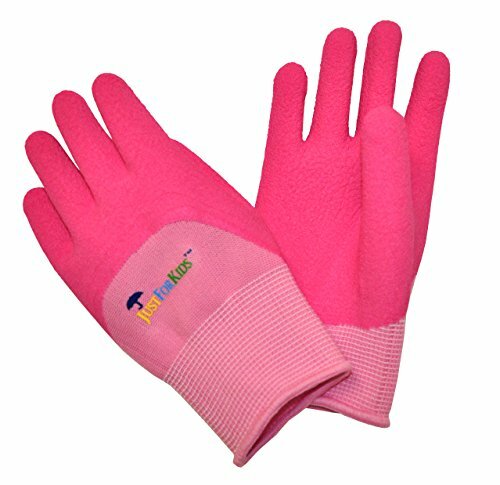 One size fits 5-6yrs (product care label says 4-5yrs, but we recommend for 5-6yrs) (4" across palm 5.5" from elastic to end of middle finger.) 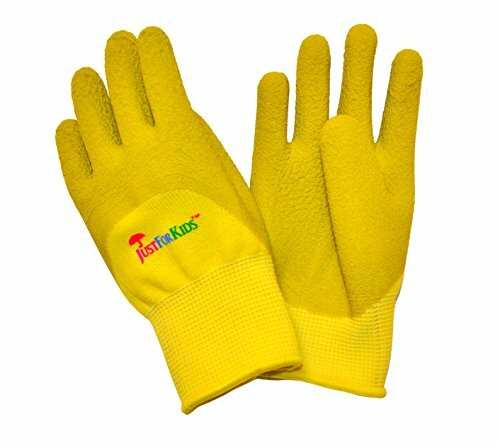 One size fits 6-7yrs (4" across palm, 6" from elastic to end of middle finger.) 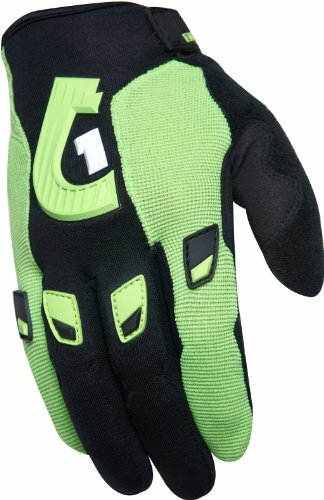 One size fits 8-9yrs (4" across palm, 6.5" from elastic to end of middle finger.) 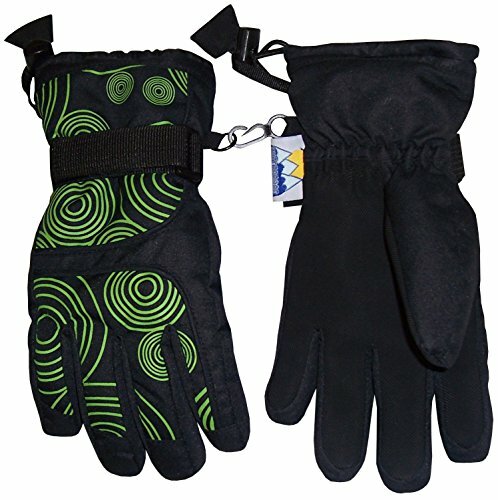 One size fits 10-12yrs (4.25" across palm, 6.5" from elastic to end of middle finger.) One size fits 13-15yrs (4.5" across palm, 7.0" from elastic to end of middle finger.) Tested and approved as per CPSIA standards. Spandura upper and cuff-less construction creates less bulk and weighs less for easy articulation. Silicone printed fingertips and single-layer palm allow for increased feel and grip.